All MONEO functions are integrated so that the information entered in one place is no longer required to be re-entered. All departments can access information instantly and management can monitor the operations with ease. 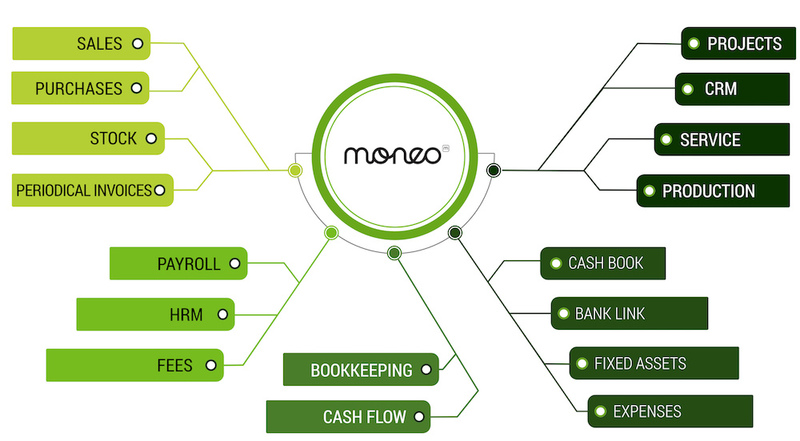 MONEO combines all business processes in one application. It automates and optimizes business operations so you can be more productive. MONEO interface works in Latvian, Russian, Lithuanian and English language. This allows you to unite and effectively manage pan-Baltic operations. Manage who can access, read or write information, reports or perform other actions. MONEO is available for Mac OS computers as well as for Windows. MONEO takes care of automated backups and data storage in the cloud. No headache for you!